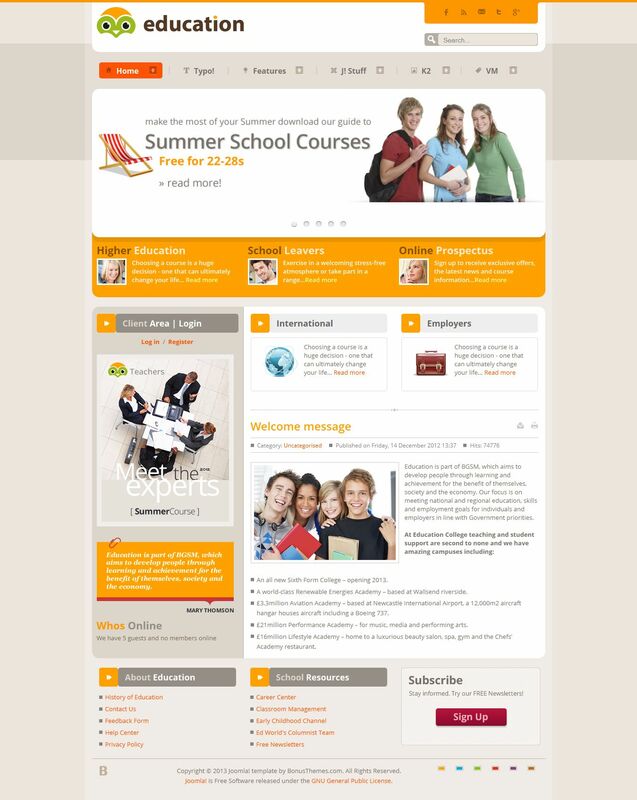 BT Education - stylish and colorful template for Joomla 2.5 from professional studio BonusThemes. The original appearance of this template has six color schemes (orange, brown, purple, blue, red, green), and more than 20 module positions. Template Manager fully supports content management K2, which in turn gives the pattern a flexible configuration management materials. Template perfectly optimized and supports all mobile and tablet devices. BT Education is ideal for creating a website of educational institution or company website.